Demystify puberty with this comprehensive, must-read guide for parents, tweens, and teens. From spots and cyber safety to sexuality and mental health, embark on the scary teenage years with confidence. 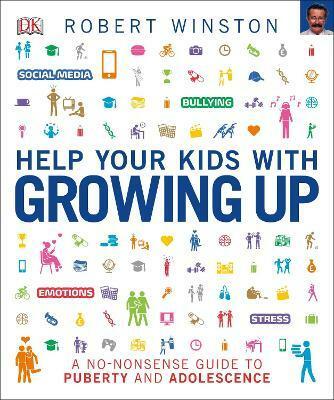 Help Your Kids with Growing Up is the only guide to cover contemporary issues such as body image, social media, and sexting, whilst also explaining the biology of mood swings, periods and breaking voices. This book destigmatizes tricky topics including stress and anxiety, and explores relationships, identity, and gender, too. Expertly written content by Professor Robert Winston and Dr Radha Modgil offers a no-nonsense, non-judgemental approach to help parents and their kids navigate their way through this turbulent but exciting time. Engaging graphics and illustrations make this modern, comprehensive guide to adolescence invaluable for tweens and teens alike, whether as a quick-reference guide or cover-to-cover read.